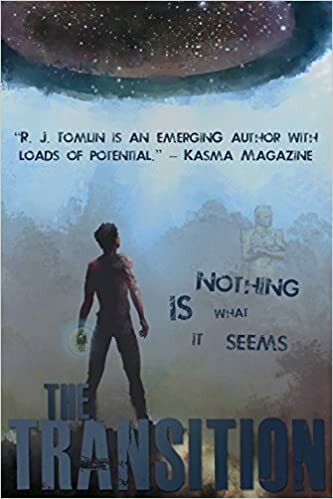 I first heard about indie author Ryan Tomlin when his 100 Days campaign to promote his book caught my eye on social media. He’ll tell you more about that below. Although his book isn’t really my kind of thing – can’t love everything! – when he contacted me to ask if he could do something for the blog, I was happy to agree. I’ve always been a huge fan of movies and videogames. I was amazed at how much someone could get me to care about something or someone, despite me knowing that that person or thing didn’t actually exist. As I got older I found myself caring more and more about stories, debating in my head my favourite films, and researching theories and ideas behind them. The reason I started writing is because, after being inspired by all these stories and characters, I wanted to create something of my own, to make something that other people can get drawn into and care about – and something that I could escape to myself. My last five books got rejected by over 50 publishers so I was a little disheartened about my chances of making it. After writing this book, I believed in it so much that I didn’t want to send it off just to get rejected again, I wanted to share it with the world and show people what I’d made, so I self-published instead and went about marketing it myself. I haven’t been offered a publishing contract yet, but only time will tell! If I’m honest, I’m really not sure. I debated several different titles that relate to the premise but, as a rule of thumb, I always like to have the title mentioned somewhere in the book in a sort of ‘oh yeah!’ moment. So ‘The Transition’ seemed like the best choice. I’d have to say Of Mice & Men by John Steinbeck. Because I’ve been taking my writing a lot more seriously this past year, I’ve decided that it’s important for me to read certain ‘classics’ to see where inspiration for modern stories came from. The story was simple, and there wasn’t much to it in terms of depth, but it was a heart-felt tale with a sad, but well-written, conclusion. As of May 2016, I’m currently reading ‘I Am Number Four’ by Pittacus Lore. I’ve only just started, but it seems very intense so far! 90% of the books I read are on my Kindle, for me it’s just an easier way of reading (though I have to say, there’s nothing quite like holding an actual book!) I usually read in bed, the very last thing before I go to sleep. It helps me relax and leaves something for my mind to ponder overnight. The best ways to connect with me are on Twitter and Instagram, you can find me @rjtomlin on both! 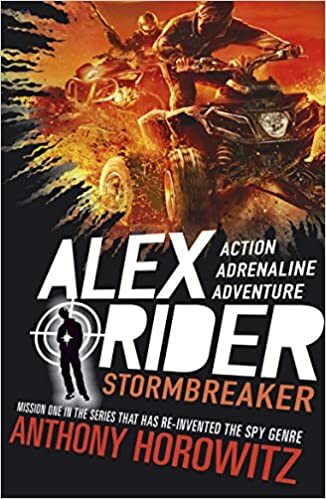 I’d have to say Alex Rider from any book in the Alex Rider series as it’s my favourite book series of all time. It would be just like being James Bond but without the responsibilities of being an adult, I couldn’t imagine anything better.